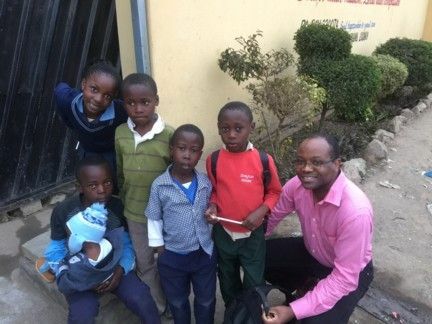 Cranleigh Rotarian James Phiri is a frequent visitor to Zambia, and a keen supporter of projects that will assist the development of that country. 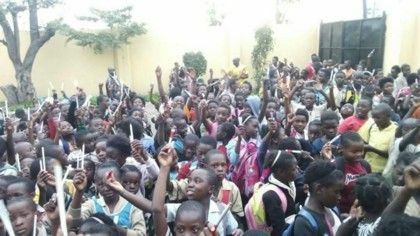 James recently delivered the second, and final, batch of pens and pencils to The Other Side Foundation School for Orphans and Vulnerable Children in Lusaka, Zambia. The first batch was delivered in December 2016. The school caters for some 600 children and provides one meal a day and a free education, although guardians who are able are asked to contribute or participate in supporting school activities. The school is entirely donor funded and does not rely on government funding.